A nighttime fire at a day spa caused fire, smoke, and water damage forcing the facility’s closure. Thirty-six firefighters from three stations fought to contain the blaze for over two hours. Fire officials attributed this fire to a commercial dryer used to dry towels over night. The damage from the fire was primarily contained within the laundry room, but the smoke and water damage affected the entire facility. A majority of dryer fires occur as a result of highly flammable lint getting caught in the dryer’s vent and becoming heated to the point of ignition. Most dryers come with lint traps or filters designed to capture the lint. These filters, however, fail to capture all of the lint, yet the assumption remains that emptying the filter regularly is enough to protect a dryer. 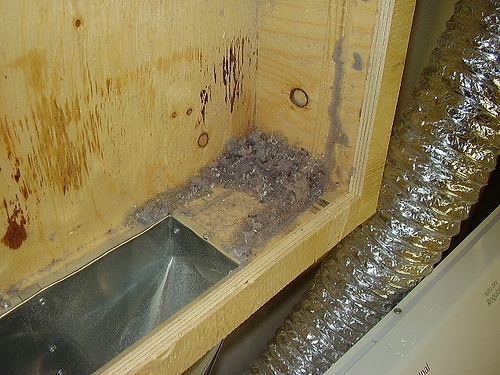 This assumption accounts for half of all dryer fires, since they typically start from within lint traps. The following cleaning and maintenance suggestions will help prevent dryer fires. Clean and empty lint out of the exhaust pipe and the rear of the dryer after every use. After cleaning the lint filter, check closely for tears and rips. Replace damaged lint traps immediately. Never put any synthetic substances such as plastics, foams, rubber, or any pieces of cloth that may have been used to clean any potentially flammable of combustible liquids in the dryer, even if they have been thoroughly washed. The dryer exhaust pipe should be as short in length as allowable based on the location of your dryer. It should also be as strait as possible; limited bends allow for unrestricted airflow. The American Household Appliance Manufacturers Association (AHAM) recommends the use of rigid aluminum, spiral-wound or steel duct aluminum flex hose. They advise against the use of white vinyl hosing. Only run a dryer when someone is on-duty. If the dryer is gas-powered, as opposed to electric, have it routinely inspected by a professional to ensure that both the gas line and connection are intact. Keeping combustible objects away from the dryer. Objects like boxes, paper, chemicals, or anything else that acts an accelerant to fires. If a dryer is displaying any of the following signs, it need to be serviced by a technician. Typically a dryer vent needs cleaning every two to three years. It is recommended that the first vent cleaning for a dryer should be rechecked within a year to determine a reasonable frequency for follow-up cleaning. 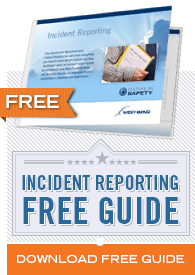 Several factors should be considered in determining the frequency of inspections. How much use does the dryer get? For facilities like salons and spas this is usually high considering the amount of towels washed daily. What is the dryer vent like? Longer, curvier vents typically get much more lint trapped in them than short, strait vents.